On May 18, 2013, in the final seconds of “Name of the Doctor” at the end of the seventh series, something pretty extraordinary happened: We were introduced to an incarnation of the Doctor that we’d never met nor heard of before. Six months later in“Night of the Doctor” we saw how this extra incarnation came to be, and a week after that in the 50th anniversary episode “Day of the Doctor” we watched this incarnation interacting with his Tenth and Eleventh selves (or would that now be Eleventh and Twelfth?) in the final adventure of his life before regenerating into the Ninth Doctor. But what about all the stuff in between? We know that this incarnation fought for a pretty long time in the Time War, since we see him in the form of a fairly young John Hurt in “Night” and far older in “Day.” Now, thanks to Big Finish Productions, we get to hear the War Doctor in action, embroiled in the Time War, in three brand-new linked stories collectively called Only the Monstrous. I should start this review by providing a little bit of context: As a generality, I don’t like the Christmas episodes. Most of them are schmaltzy and overly trite. I don’t even like the idea of Doctor Who doing Christmas episodes. So it is with that bit of information fully divulged that I declare openly how much I loved this episode. It’s not only the strongest and most enjoyable Christmas episode we’ve had, it caps off the strongest season of modern era. Makes a great gift for newer fans of the show; gives readers a good overview of every era of the show. A race of war machines who conquer the Earth in the 22nd Century; a brilliant painter who sees the world in a unique way; a reptilian species that sees the Earth as theirs and and intends to reclaim it; a time-traveling archaeology professor who never meets the Doctor in the right order; a dangerous world leader who bears a striking resemblance to the Doctor; murderous circus clowns; wind up toy soldiers; wind up service robots; and the Doctor as a little boy. With over 50 years of television stories, DOCTOR WHO has introduced its audience to some of the strangest creatures, weirdest places, and most dangerous times. 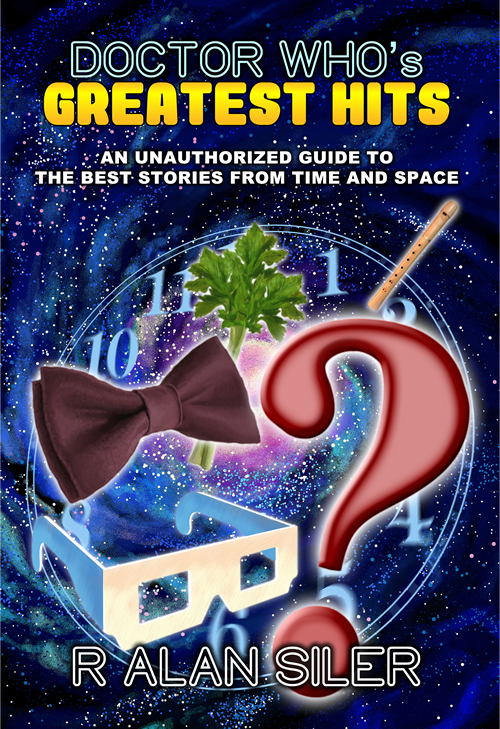 DOCTOR WHO’s GREATEST HITS takes a loving look at some of the Doctor’s most memorable adventures. 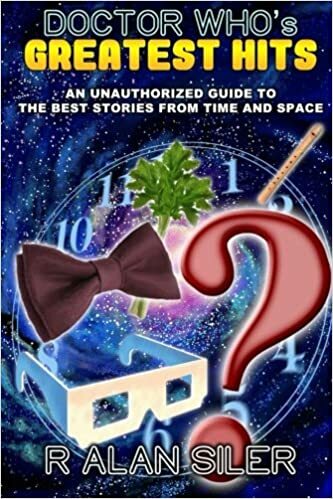 From Autons to Zygons, from Hartnell to Capaldi, this book has something for everyone, whether you’re new to the show or a longtime viewer.